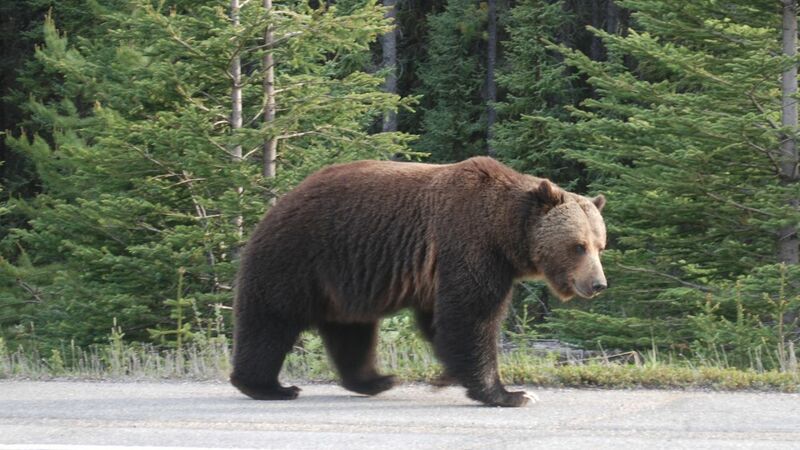 Mating season is one of the most dangerous times of year for male grizzly bears that roam between the Province of Alberta and Jasper National Park, Canada. As they travel hundreds of miles in search of a mate, they are at risk of poaching, accidental shootings, collisions with cars and trains, and sometimes fatal attacks from other males willing to fight to the death for a female grizzly nearby. It’s a tough place to make a living, where many bears die young. But at 31-years-old, a male grizzly bear known to researchers as G006 — nicknamed “Big Boy” – has defied the odds, leaving behind a genetic legacy that may shape this grizzly bear population for decades to come. Stenhouse moved on to working with other bears, and Big Boy was left to live out the rest of his life in peace. But an analysis of the DNA collected from the hair of multiple bears in the study area in 2014 showed that he did anything but fade into the sunset. Big Boy, now 31-years-old, was very much alive, and had fathered “a large proportion of the bears” from the study area—at least ten—“and those are only the ones we know about,” says Stenhouse. A number of factors likely contributed to his success. When Stenhouse had one of Big Boy’s blood samples analyzed, the results showed that Big Boy had the highest testosterone levels of any bear he’d handled in 20 years. “If you’re a young male bear trying to mate with a female, and he comes around, you go the other way!” says Stenhouse. And while some males will find a female and hang out with her until she’s ready to mate, Big Boy was a bear willing to cover hundreds of miles of rugged mating territory to check on the readiness of multiple females—a behavior Stenhouse has detected in some other males in the study area. How Big Boy managed to fling his genes so far afield is impossible to know for sure, says Stenhouse. “We can’t just simplify things in the world of bears. Understanding social behavior is something we’re just starting to get insights into now because of changes in technology.” But one thing is certain. “A bear that’s lived that long is a smart bear,” says Stenhouse. “He’s figured out ways to avoid being in conflict with people.” With any luck, his offspring will do the same.